A Minnesota dentist has been named by Zimbabwean officials as the hunter who killed the country’s beloved lion, Cecil, earlier this month, prompting a storm of social media insults, death threats and even doxxing of Dr. Walter Palmer. Palmer’s name was revealed Tuesday by the British newspaper the Telegraph, citing sources in Zimbabwe investigating the death of the lion. 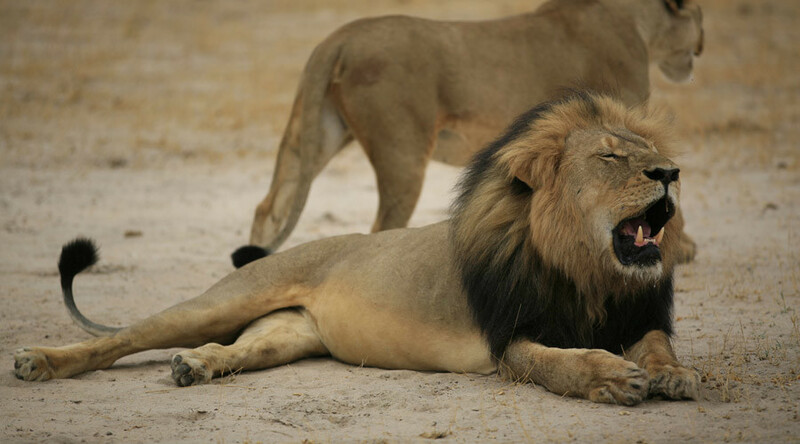 According to the officials, Cecil was killed on July 1, just outside of the Hwange National Park in western Zimbabwe. His body was found skinned and beheaded on a property bordering the park, thanks to the GPS tag implanted by the scientists studying the lions. Within minutes of the Telegraph’s revelation, Palmer became a subject of internet hate. Social media users have called him a “scumbag” and a “disgrace to humankind, and a detriment to our species as a whole.” The address, website and phone number of his practice were plastered everywhere, with the practice’s website going down shortly thereafter. The dentist's Facebook account has been taken down, and his practice is taking heavy fire on Yelp as well. Over on Twitter, the doctor's private address and phone numbers have been posted by people claiming to be part of the hacktivist collective Anonymous. “I don't agree with capital punishment, but I genuinely wouldn't care if Walter Palmer was found by a lynch mob and strung up,” one Briton tweeted. “Have at him,” added one Canadian animal rights activist. I demand justice for Cecil the lion. I know at least a few of you are absolute lunatics. Please get to work on this. There were also voices out there urging restraint. “...if you didn't know who Cecil The Lion was a week ago, you can't join today's Twitter Witchhunt,” one Twitter user quipped. Cecil was reportedly lured outside the boundaries of the park and shot with an arrow. Zimbabwe’s Parks and Wildlife Management Authority said that the professional hunter hired by Palmer, named as Theo Bronkhorst of Bushman Safaris, reported the “mistake” the following day. Bronkhorst is now facing charges of poaching, along with the owner of the land where Cecil was shot, named by the authorities as Honest Trymore Ndlovu of Antoinette farm. Both are due to appear in court on August 6. According to Johnny Rodrigues, head of the Zimbabwe Conservation Task Force nonprofit that has been working in the country for the past 16 years, the country is rife with corruption. Zimbabweans let rich foreigners buy the rights to hunt prized animals, while government officials look the other way or even facilitate the poaching in exchange for bribes. Oxford University’s Wildlife Conservation Research Unit has been monitoring the Hwange lions since 1999, to measure the impact of hunting on the lion population within the park. According to Dr. Andrew Loveridge, one of the lead researchers on the project, the remaining male in the pride will most likely be unable to protect Cecil’s cubs.